Microsoft Windows Server the best selling operating system for server infrastructure world wide! 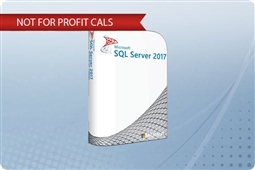 Microsoft SQL Server the top tier of data base management software! Microsoft Exchange Server an excellent way to manage your emails, calendar, and contacts while keeping sensitive data secure! Microsoft SharePoint Server making collaboration and document management easy, secure, and efficient! Microsoft Windows (PC) the best in class operating system for personal computing world wide! Microsoft Office the most powerful suite of office and word processing applications with tons of options to choose from! Microsoft Visual Studio a powerful tool to get creative and develop business applications, web sites, web services, and mobile apps! Microsoft Academic the best pricing for qualified educational institutes on all of your favorite Microsoft licenses! Additional Microsoft not finding the Microsoft license you need? 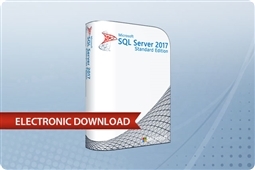 Check here for options such as MSDN, MultiPoint Server, Project Server, Systems Center, and VDI! Considering what type of Microsoft License you need? Check out our Microsoft Volume Licensing Overview for a guide to your ideal software license!